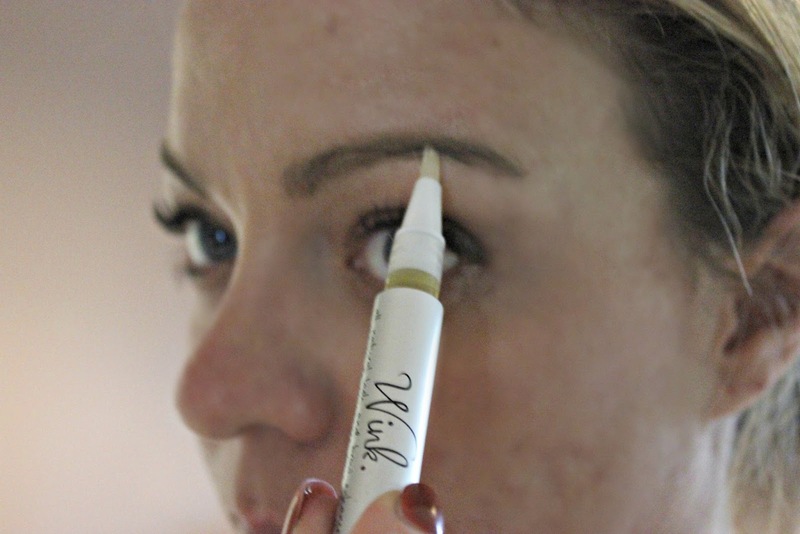 First up, Wink is a natural brow and eyelash enhancing oil that helps bring out what you already have occurring naturally. Wink helps enhance what you already have. Now I did go through the 90s, along with soooo many others, and practicing that skinny eyebrow look. I over tweezed so many times more than I want to admit. Hey- that was the cool look; in my defense. My hope in using this is that some of the bare spaces in my brows that I have to fill in, would grow back a little. 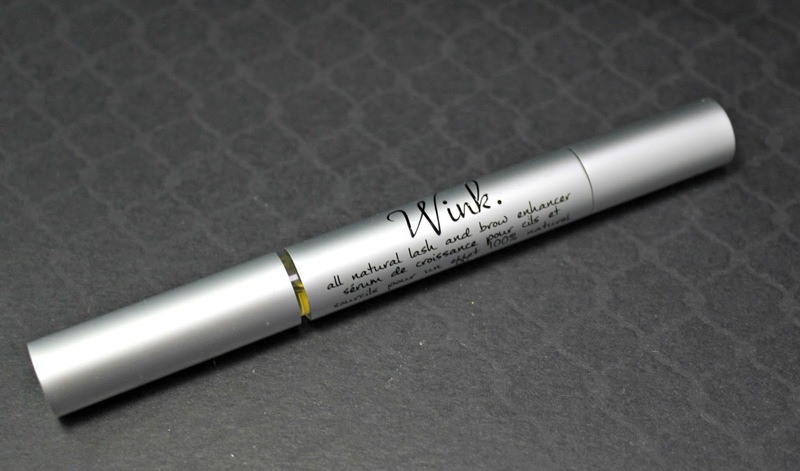 Wink is creulty-free, hypoallergenic, made in the USA, vegan and recyclable. This makes it so much easier to use in a very sensative area of our face. 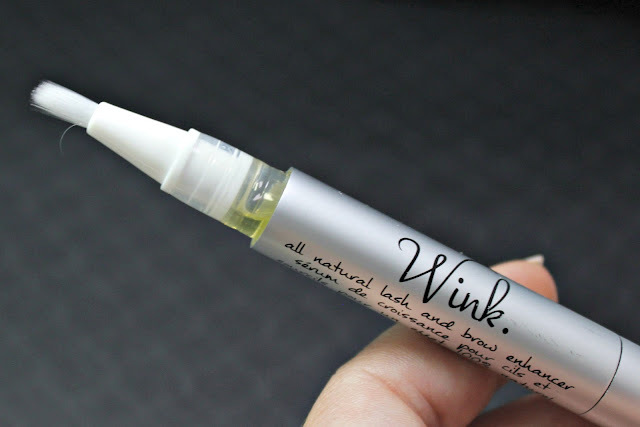 Made with all natural oils, Wink is comfortable and safe to use on your eye area. I only used this on my eyebrows because each tube is designed for 2 months worth of product. My lashes are not a problem area of mine, but my brows absolutely are. To use, I twisted the bottom until product appeared and then I applied it to my brows from the inside out. The applicator is a soft brush, so it made it really easy to apply and put back away when finished. The results? Well, I don't have caterpillar eyebrows again, but they do seem fuller. I have been trying to grow out these brows for several years so anything helps. I am hoping that with further use, I will see more of a difference. If you follow me on Snapchat, you can check out my progress there. Szizzy12184 is my username if you don't already follow! I really do like using this product. I didn't have any irritation in my eyes and (this sounds silly) my eyebrows feel softer. They are easier to work with when I need to fill them in, too. With further use, I will be able to tell if I want to repurchase or not. $40 may seem like a lot, but there are many treatments out there that are similarly or higher priced. October is #PinkWINK month over at Amalie. This is such a wonderful thing they are doing for my fellow breast cancer survivors. 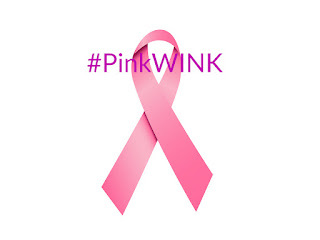 When you buy one tube of Wink for $40, they are donating one tube to a lady in need. This helps to make thinned hair from chemo appear fuller. 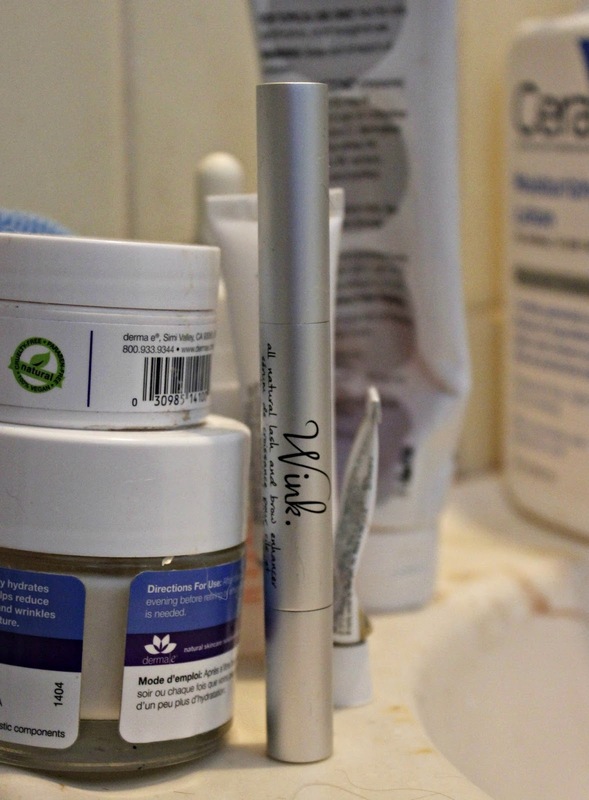 Even the little things, like lashes, make a difference. If you want to learn more or purchase your own, you can check everything out here.